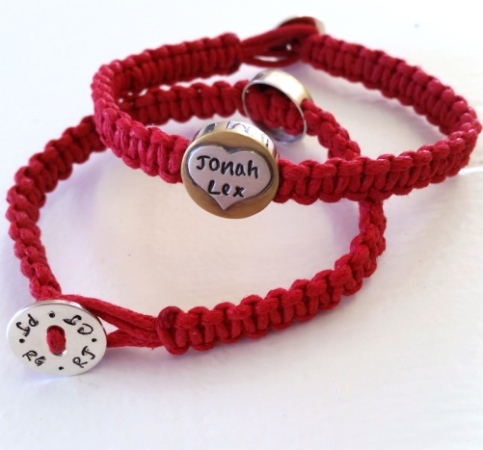 A charming waxed cord bracelet weaved in the Macramé technique with your choice of a round sterling silver 'bead' that is woven into the macramé. Choose between a golden-heart or a rose gold plated quirky-heart for your bead. 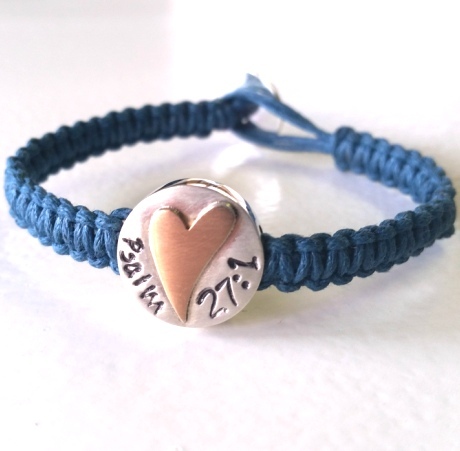 A short name/wording can be stamped on the brass/rose gold heart. 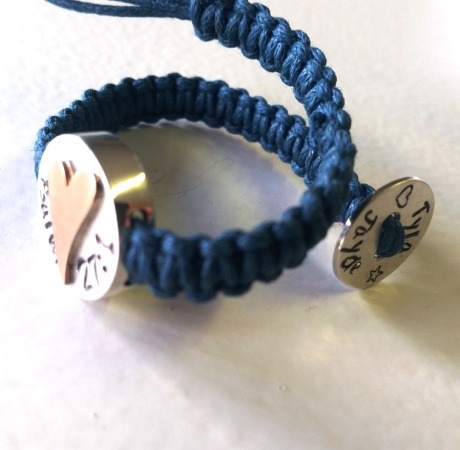 The bracelet fastens with a sterling silver button, which can also be stamped with short names or initials. Waxed cord colour options are Red, Dark Navy Blue, Grey or Black. 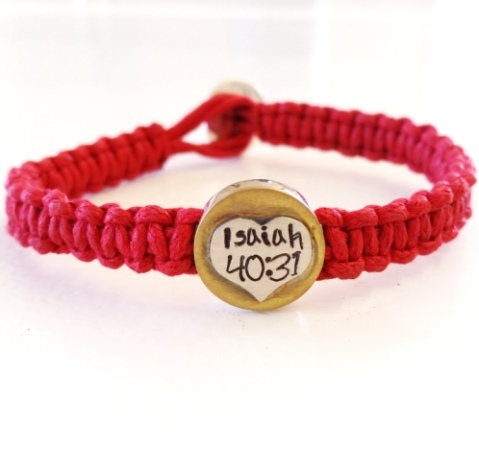 Notify me when Red Waxed Cord with Golden Heart Macramé Bracelet With Round Bead is available.